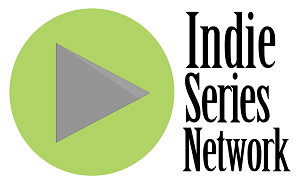 In the last Indie Series Network Web Series of the Week poll, Family Problems was voted favorite indie of the week. It's now time to catch up on all the new episodes and vote for your favorite series in this week's poll. You can also cast a vote for your favorite actor, actress and web series couple/duo. Voting ends Wednesday, November 26 at 4 p.m. ET (one vote per person per day). Web series that aired one or more new episodes from November 16-22, 2014 are eligible. If an indie series aired this week and is not on the list, cast your vote as "Other" and write in your choice. - Bi Episode 5 "Bi-optic"
- Carmilla Episodes 32 "Mommy Dearest" & 33 "Pep Rally"
- Family Problems Episode 40 "Answers"
- First Sight Episode 1 "The Pain"
- Gigahoes Episode 5 "Mother Knows Best"
- Karma Episode 10 "I Don't Want Your Pieces"
- Lost Angeles Episodes 9 "Health" & 10 "Rhett Bowen"
- Mr. Wang Goes To Hollywood Episode 4 "Yaowen"
- Old Dogs & New Tricks Season 3 Episode 2 "Hard Bargains"
- Proper Manors Thanksgiving Special "Homeless for the Holidays"
- Shady Business Episode 12 "This Heavy Weight"
- The Socialist Episode 3 "#Showoff"
- Triangle Episodes 3 "Entanglement" & 4 "Greed"
- Youthful Daze Season 3 Episode 12 "Revisiting the Past"
The Actors are "on point" as the characters and plot develops with Proper Manors. Very fun to follow. I'm hooked. Pete Winning and the Pirates was a fabulous series that came to a nail-biting conclusion! Proper Manors is worth watching. I just started watching it not to long ago, and really enjoyed it. The gratitude I carry with me daily for the Proper Manors team, behind and in front of the camera, has made a tremendous difference in my approach to life. I love that all of us are following our dreams and creating Indie Content! Being a part of the Proper Manors Family since 2011 has been an amazing opportunity for me. Proper manors is a cross to me between, Sopranos, CSI, 90210, and a little "Twin Peaks" thrown in. Our core family is the "Sorrento Family" a creation from a 12 year old Italian boys mind, and his best friend ( 20+ years ago) growing up in Plant City, Florida. We work on a very slim budget, and yet we all come together almost every weekend ( besides federal holidays), and work has hard as we can, to give you the best entertainment, and still deal with all the current events of society with its rewards and consequences. We have reinvented our show a few times for different reasons, however, the core people have never left, and the old actors,new actors, crew, writers,producers, sponsors , and fans are what makes our show what it is, from day one until now. Just like real life we have our ups and downs, and learn from our mistakes. If you haven't seen Proper Manors yet, please take a minute to watch our "Special Thanksgiving" episode, and vote for our show if you think we deserve it. You can also catch up with all the rest our show at www.propermanors.tv If you join our family.. " WELCOME TO PROPER, YOU'VE BEEN WARNED" ..Enjoy the ride!!! Alex Hauck is a great actor! KARMA IS ABSOLUTELY AMAZING! LOVE THE WRITING! LOVE THE CAST! I ESPECIALLY LOVE THE WAY KARMA LOOKS INTO THE CAMERA! IT'S LIKE SHE'S LIVING THE MOMENTS WITH US! LOVE THIS SHOW! PETE WINNING and the PIRATES is Fantastic Adventure, and you should vote for them. its Swashbucking FUN!! If you haven't seen the show Proper Manors it is time to watch it. There are some hot women, and men running around town being silly and serious.